Woohoo! 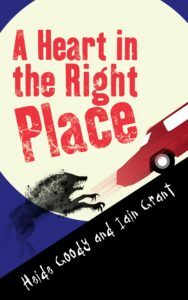 Thrilled to be taking part in the blog tour for Heide Goody and Iain Grant’s A HEART IN THE RIGHT PLACE – many thanks to Rachel of Rachel’s Random Resources for the invite! 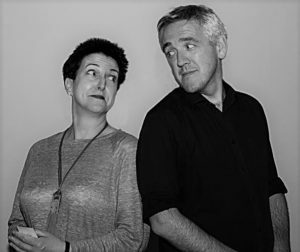 I have a fantastic #guestpost to share with you all today, but before we get to that – how about we find out a bit about the authors and this book! A Heart in the Right Place is a comedy horror novel about an everyday suburban-dwelling father and son who find themselves pitted against psychotic assassins, tooled-up mercenaries and a supernatural monster. In the story, they only have themselves to rely on to escape from danger and save the day. They are on their own, entirely on their own. But here’s the question: When were you last on your own? Truly on your own? When was the last time you ever thought, ‘If I die here, no one will ever know. No one will ever find me.’? Right now, you could probably say “Alexa…” or “OK Google…” and something nearby would respond. If you’ve installed an Amazon Echo or a Google Home device in your house, then they are listening to you right now. No, I’m not being paranoid. Alexa has already given evidence in murder cases in the US because of things she might have overheard. That’s right, if you’re plotting to murder your spouse, don’t do your plotting out loud in earshot of a phone, smart TV or other device. But maybe you’ve banned such devices from your home. You’ve still got that mobile phone on you. If you want company or if you need help, it’s only a swipe and a tap away. The authorities can track us from our mobile devices, even if they’re not being used. Some small comfort if you’ve been kidnapped, but less so if you’re a criminal or just like your civil liberties and personal privacy. There was a time when mobile technology was not in common use. I’ve had a mobile phone for less than twenty years and I doubt many of you have had one for much longer than that. Same goes for web-based e-mail, that other form of modern instant communication. How many of us are using an e-mail address we’ve had for more than twenty years? Very few. So, do we have to travel back a quarter of a century to put ourselves in a situation of perfect solitude? If we’re trying to create a horror story, a thriller or mystery, it’s a lot easier to create that sense of isolation if our story is set in the past, any past that doesn’t contain all that tech which tracks our lives and our presence with scary efficiency. Technology failure aside there are some places where the communication web still doesn’t reach. There’s a fine and rich tradition of taking horror out beyond the normal reach of human civilisation. In Jaws, Brody and Quint tackle the killer shark in the wide open ocean and are further isolated with Quint smashes up the boat’s radio. Much of the power of John Carpenter’s The Thing is in the Antarctic setting and the total isolation the team find themselves in. More recently, the brilliant film The Ritual takes its four British protagonists and dumps them in the middle of a spooky Scandinavian forest. But even these reveal the difficulties in creating isolation in horror. Quint has to destroy the radio if they are to be truly alone to face the shark. The Thing is set at bottom of the world, pretty much as far from civilisation as is currently possible without going into space. And The Ritual, a British horror film, has to go to Sweden to find its isolation. We Brits do struggle to find our isolation, whether its for the purposes of generating horror or for the more mundane search for peace and quiet. Because, let’s face it, we live on a wonderfully crowded little island. Every autumn, I go on a walking weekend with friends in North Wales and often end up on top of Mount Snowdon or one of the nearby peaks. And, yes, there’s not much of a phone signal up there but am I ever alone? If a storm swept in or I was attacked by a wild Welsh, er, dragon then would I be forced to face them alone? No. Because there’s another dozen people in sight on the trail ahead of me and another dozen bringing up the rear. Seriously, in summertime, the biggest challenge to getting to the top of Wales’ highest mountain is the queue at the top. So, if we want to create solitude then we have to get away from both the reach of technology and the presence of our fellow human beings. Where to go? For A Heart in the Right Place, I was inspired by a trip to visit friends in Inverness. There’s a point, driving north from England and the lowlands of Scotland where the landscape changes. The very colour of the rock changes, hills become mountains and you realise that you’re in different country, geologically speaking. On top of that, as you head north along the A9 from Perth, through Dalwhinnie, Kingussie and Aviemore, the mountainsides rear up, the phone signal dies and, yes, if you can ignore the odd distillery or skiing centre, you can believe you are finally utterly alone. For our horror novel, we took Nick and Tony there, chucked them off a mountain and abandoned them in a forest full of hungry boars. It worked for us and we delighted in writing about the horrors of being alone. Of course, you don’t need isolation to create horror. Being unable to get away from other people creates its own forms of horror, the frantic need to escape. With such little wilderness left for us to lose ourselves in, where can we run? Inside a good book is one answer. If you ask Alexa nicely she might be able to download one for you now. 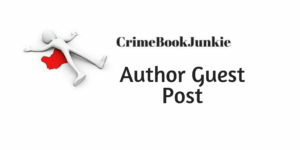 This entry was posted in Author Guest Post, Blog Tours and tagged #GuestAuthorPost, #Horror, #Mystery, #Suspense, #Thriller by crimebookjunkie. Bookmark the permalink. awesome, Zoé! One for the TBR!